From Mesquite, Texas, Shepard earned All-Star Honorable mention honors and All-District honors before committing to the University of Kansas for his college ball. Shepard, 5’11″195 lbs, thrived both on the field at Cornerback/Nickelback/Kick Returner for the Jayhawks and in the classroom and community. He earned numerous accolades during his career at Kansas: All-Big 12 First Team (coaches, Phil Steele Magazine) All-Big 12 Second Team (Associated Press, 247Sports.com, ESPN.com), Big 12 Commissioner’s Honor Roll and Athletic Director’s Honor Roll (spring), 2013: Academic All-Big 12 Second Team, All-Big 12 Honorable Mention (coaches), KU’s Galen Fiss Award Winner for exemplary service to community and campus, Academic All-Big 12 Second Team, Big 12 Commissioner’s Honor Roll and Athletic Director’s Honor Roll. He was also a nominee for Big 12 Male Sportsperson of the Year. 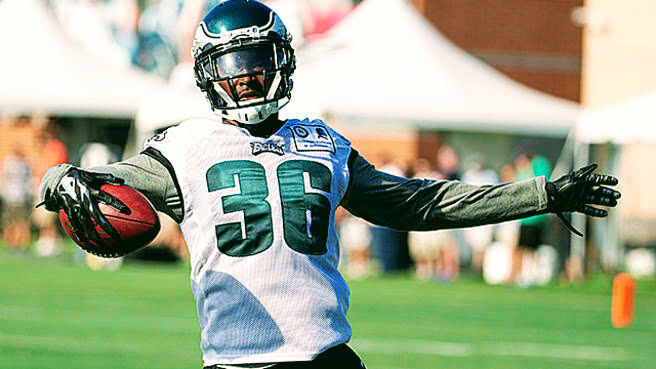 Shepard was drafted in the 6th round of the 2015 NFL Draft by the Philadelphia Eagles, but unfortunately tore his ACL during a promising preseason. He then signed a 2-year deal with the San Francisco 49ers as a CB/KR, and also had a short stint with the Pittsburgh Steelers. In 2018, the 24-year old Shepard will bring his elite abilities to The Spring League, hoping the added reps and exposure will get his NFL career back on track.